This week on the Boagworld Show we are joined by Vitaly Friedman the Founder of Smashing Magazine to talk about his unusual role and nomadic lifestyle. Paul Boag: This week on the Boagworld Show we're joined Vitaly Freedman, the founder of Smashing magazine, to talk about his rather unusual role and nomadic lifestyle. This week's show is sponsored by Optimal Workshop and the Digital Project Manager. Hello welcome to the Boagworld Show, the podcast about all aspects of digital design, development and strategy. My name is Paul Boag and joining me on this week's show Marcus Lillington and Vitaly Freedman. Yay! Marcus Lillington: Woo. Hi Vitaly. Vitaly Freedman: Hello. Hello everyone. Thanks so much for having me again. Marcus Lillington: You turn round and he's gone. Paul Boag: I know. I know. It's like what country are you currently living in? Paul Boag: In betweens where? Germany and Ukraine is it these days? Vitaly Freedman: Yeah, and also Spain and Lithuania, so it's very hard to explain. Paul Boag: You see, there it is. Vitaly Freedman: Oh, jealous? Hopefully not because of traveling. I've been… actually, we can talk about it later. I would love to settle. Paul Boag: Yeah, we'll get in to that. Yeah, yeah, yeah. It's good stuff. So we're gonna talk to Vitaly about what he does and how he does it. Vitaly, maybe just for the, like, three people that don't know you, what you do, could you just give us a very quick synopsis of your career? Of what it is you do? Vitaly Freedman: It all started very quickly back in 1998 or so, when I started working on Shockwave and HTML, BMRL, and then Macromedia, Shockwave, Flash, 00:02:12 and all of that. I ended up doing little bit of stuff for the web, just playing with HTML and things like that. When my parents moved to Germany back 2000, or in 1999, actually, I wanted to earn money so I started looking up things that I can do. It turned out that I can do some HTML and Flash, so that's where I started doing freelance work. I also started from the University there, doing Computer Science and Mathematics. I was actually earning my money with web stuff, as a freelancer, on the side up until 2006 when we launched Smashing magazine, which is an online magazine for designers and developers. I stopped doing freelancing back then and then I actually continued doing it in 2012 or 13, but more on the consultancy side. I've trained to work with companies big and small to improve the front-end of interface design. I've always been in-between interface design and front-end and performance, then I got bored with all of that and I did accessibility. Then I got bored with that, moved back to interface design. Then usability and this and that, and just yesterday I spent essentially the entire day reading about Capture and what you can do with that. And what you should not do with that. So I always pick a topic and dive in very deep. That's kind of my thing. Paul Boag: That sounds like… that sounds very similar to when we interview Chris Coyier. That kind of entrepreneurial… well, not entrepreneurial… that continuous fascination with different things. Ooh, shiny! Let's go and investigate that for a while. I'm excited. Vitaly Freedman: Yeah, that's me. That's me. Marcus Lillington: Sounds like you, Paul, I would say. You get bored. I used to rely on you to do things, but you've been bored or whatever that was. You didn't do it and I ended up having to do it, or somebody. Vitaly Freedman: That sounds very familiar to me. Paul Boag: Yeah. I'm Iris at the moment. Any minute now, it's gonna burst into the chat room going yes, yes, yes just that, that! Iris works with Vitaly and is in the chatroom at the moment. Vitaly Freedman: Iris is great. Paul Boag: There is a terrifying similarity in our way that we think, between me and Vitaly, that we both get bored incredibly easy and go on to the next thing. Vitaly Freedman: And, there are significant differences in the way we think and we work, too. Paul Boag: Well, like what? Give me an example. Paul Boag: I'm a little bit, I'm a bit more… you're a more extreme version of me, I think. Because whenever we have conversations between you, me, and Marcus. Vitaly Freedman: Not that Marcus, the other Marcus. Paul Boag: The other Marcus. Marcus who's the ND of Smashing. I always feel like I sit between the two of you. Vitaly Freedman: Yeah, that's probably right. Paul Boag: Is that fair? Vitaly Freedman: Yeah, that's fair. I think in many ways I like looking into dramatic shifts. I do like continuous improvement, on the one side, but I do strongly believe that's not hard to get successful; to be really reaching the audience, you really need to make a big, bold statement. And you say, have to stand behind the principles. Vitaly Freedman: Well, at the same time, you are more for let's keep iterating forever and again. Paul Boag: Yes, and I have no principles. Vitaly Freedman: Well, I think you do. You just have really bad principles. Marcus Lillington: You need to take a long, hard look at yourself, Paul. Vitaly Freedman: Well, we both do, actually. Paul Boag: You're not the first person to tell me that. Vitaly Freedman: We need to take a close look at Paul, together. Marcus Lillington: Yes, analysis. Step on to my chair, Paul. My couch. Paul Boag: I would quite happily have myself analyzed, but not by you two. I know that. I want a paid professional to do that. Haven't you done that at some point Vitaly? Haven't you kind of, you know, stepped back and looked at your personality, your character. You mentioned that just before we started the show, didn't you? Vitaly Freedman: Yeah, I think it's very important. I was one of those people who would never go to a psychiatrist, or therapist, or shrink. Like, ever. Because, come on, I can take care of myself and I'm strong enough to see my failures and my purpose and my strength and my weaknesses. And I had a very difficult time in my life essentially, like, the last six, seven months or so. There were many changes, not very pleasant changes altogether. So, I did decide to then give it a try, and I went. I don't know if it actually really changed my life forever. But, at some point, somehow it helped me to see the picture a bit better. Maybe just because I had to think through all of it before I would have a session. It really forced me to think about what I'm going to say, and then I started thinking for myself. Then, at this point, I feel as me, that I just see my strengths and my weaknesses much better and I understand what I might need to work on. Even if I don't work on that, I do know how to deal with my weaknesses. Right. So that's very, very powerful. Vitaly Freedman: So, many of the things… I had mostly complexes, as they would say, right? Things that were always in my head for a long time, 'cause they would never let go. I know I had them. That's always been very, very helpful. And I know how to ignore them sometimes. That's really helped me see things a little bit better, and also shape, in a way, the way I see my work and how I work and the balance I try to achieve between work and life. For many years I didn't have it. Paul Boag: As long as I've known you, you've never had a line between work and home, which is fascinating. But, I tell you what, I am so in to this kind of psychoanalysis, for want of a better word. Do you know where it all started, Marcus? You'll know this. From back when we had that client called Insights. Marcus Lillington: Yeah, yeah. The magical people. Paul Boag: Yeah, the magic people. Marcus Lillington: We both filled in this 25 question form that they then churned out this document that basically described me and described Paul. To the letter. And it's like, this is ridiculous. And then they said… I'll never forget this… they said we can actually do it in 12 questions but we have to make it 25 so that people believe it. It's like, how do they do it? It's insane. Paul Boag: It was insane. Marcus Lillington: Sales teams and stuff like that. But, I gotta say that was one of the most useful experiences in my professional life, in some ways. Because that report, like you said, it made you aware of your own short-comings, your own abilities, what you're good at, what you're bad at. The thing that I found particularity useful was working with the third founder of Headscape, Chris Scott, who is completely opposite me as a character in every conceivable way. He used to drive me around the twist. But doing that exercise made me realize not only that his position was just as valid as mine, but it also taught me how to work with him and how we actually complimented each other really well. Even though we were complete opposites, even though we drove each other insane, that combination of the two of us just worked perfectly. So, yeah, I'm totally… I think now and again you need to step back and understand who it is you are and where your strengths are. Vitaly Freedman: Yeah, I think it's really important. In the same way we all tend to chase down all the wonderful technologists and wonderful techniques out there, and we never actually stop to think about why we choose them or why we do that. Vitaly Freedman: I think there's a lot of value of actually stepping down and waiting and seeing what's going to happen next without chasing anything down. And so, that's an exercise worth repeating, I guess. I think that maybe comes with age, a little bit. The older you get, the more you learn. Vitaly Freedman: Thank you. That's very kind of you. Paul Boag: Yeah. So the more hesitant, no. The more you learn that it's worth taking a step back every now and again, and reevaluating. Whether that be personally, whether it be in your career, even within your choices of technology or whatever it is. I think you can get caught in to paths of activity that aren't always particularly healthy or good. Marcus Lillington: Sorry, Paul. That's the fashion thing, you know. Fashions come 'round, and come 'round, and come 'round. I think the same probably applies, maybe not to technology itself, but things like interface design and stuff like that. It comes 'round and 'round and 'round and 'round. If you've seen something before you're more likely to go, I'm just gonna see how this is gonna work out before I jump on. I think also, and I'm going to agree with Marcus here, I think it's one thing that's maybe helped me to understand and to kind of get better at what I do is to embrace the fact that I'm extremely mediocre in many ways. Meaning that if I experience a problem in an interface with an app, I'm pretty certain… or on a website, doesn't matter what it is… I'm almost always very, very confident that many people experience the same issue. They just don't report it, don't really think about it, just ignore it. Right? Vitaly Freedman: And so this is something crosstalk 00:12:10 that they've capitalized on a lot over the last few years and helped me a lot. Paul Boag: I think it's almost an ability to empathize and understand how other people are feeling. Whether that be empathizing with people that are signing up to be Smashing members, whether it's people that are, you know, reading your magazine, or whether it be using an app. It doesn't really matter. That ability to say, okay, what I'm experiencing and what I feel is not dissimilar to what most people feel and to be able to tap in to that in some way. Okay, so you gave us a brief sort of blah, blah, blah, this is how I got to where I am. What do you do now in Smashing magazine? You're not the MD of the company. You've decided, very wisely, if I may say so, that you didn't want to spend your life filling in spreadsheets and organizing payroll and dealing with HR and that kind of stuff. How do you describe your role today? Vitaly Freedman: Yeah, it's very hard for me actually. I really wish that I could actually just put it in a bucket, but there is no bucket like that. Thing is that every day is not like the other, in many ways. I think over the years it turned out to be a very strange situation. I feel like in many ways what I do most of the time is being available and responsive to whatever comes up. That's one thing. There are many things that show up all the time. It's nothing solid because employees don't know what they're doing, of course they do. And they have like, full ownership. But there are always some things where I think we could do it better, or I feel I notice that now. That's not quite right. We could also tweak that a little bit. So I spend a lot of time optimizing processes, workflows. Not necessarily on Smashing, because half of the time… I would say, it's really hard to say because it depends on the day and the month and so on… I would say half of my time is consultancy, half of my time is actually Smashing. On the Smashing side of things, like Smashing conferences as a product, or like design, or in experience, I'm kind of an experienced designer at this point. Designed by me, also in support with our wonderful team of course. I choose the speakers, I choose the topic, I choose the formats, I choose the way we are going to run it in many ways. This is kind of my thing. Also, I am trying to get more… I mean, it was very important for us to stabilize that product because we started doing conferences many years ago. 2012, 13, I believe was the first one. For a while it was running well. Then we also saw that the sales tickets were kind of slowing down, so it was very important for me to refocus and establish a very strong baseline and foundation for it to keep growing and for it to remain stable. I just jumped into it with both feet and did that. Still, quite a bit of my time is spent on that. So its almost like you are a troubleshooter slash strategic advisor for Smashing? I think that many ways it's a lot of very different things. In the same time, I spend quite a bit of time beyond Smashing on education. I'm going to have, for example, I'm teaching a class in Amsterdam for next month in February on front-end and stuff. I'm really looking forward to have 50 or so crazy students who are going to suffer through me, 'cause I'm going to pose all kind of challenges. For example, we have to build this thing but we're not allowed to use any proper shapes. No rectangles, no circles, no triangles. Figure out what you want to do. So, I'm really looking forward to that. Actually, I'm trying to dedicate at least one month of my life every year to anything related to education. There's been a thing over the last few years. And then also, there is the projects. Right now, working with European Parliament because our elections coming up and so we're working on a few things here and there to improve interface and improve clarity, and charts, and graphs, and tables, and all of this madness. It's a lot of fun. Vitaly Freedman: So as you can see, everything different. Marcus Lillington: You do whatever you want to do, all the time. That's fair, isn't it? But as long as you bring value. That's the point. As long as you bring value, you can do what you like. Paul Boag: Oh, no! I was much more focused and on the ball. Marcus Lillington: It was kind of like, "Paul, what are you into in the moment?" Vitaly Freedman: Yeah. I think I like… well, I like challenges. So, for a while I was bored. I was bored because, you know, Smashing magazine has existed since 2006. For a long time I was Editor-in-Chief, although I kind of moved from one place to another every now and again, so it felt like every day I would be reading articles, editing articles, writing articles. That's it, right. I really missed the industry, and so when I started doing thing inaudible 00:18:34 freelancing work, it wasn't because I wanted to write some front-end again, but I did. I did it all the time anyway. I was doing it all the time on the site or just on the editing something else. It was important for me to be working on real life cases. Like, when you make some changes you can see the impact of it outside of our industry, of our regular readership. Vitaly Freedman: That brings me joy. The same way it does with students, when you go and they come for free. They're going to spend entire Sunday from 9AM maybe until 11PM. On a Sunday, like in here in Ukraine. Vitaly Freedman: Like where they would just do things and they're extremely curious and they want to do everything. It's never enough for them, and the lunch break is one hour, they would be back in 40 minutes. Paul Boag: See that's unnatural. I disapprove of that very strongly. I think people that have such an incredible work ethic are suspicious. That's my attitude towards them. Vitaly Freedman: It's really like the moment of honesty for me, because many ways I don't like going to places like London or even Amsterdam, or even Copenhagen. Not because they're not nice places. It's just when you run a work-trip there, it's mostly gonna be companies sending their employees. Vitaly Freedman: And so you have a very different spirit. I mean, you still learn a lot from them and you're also hoping to teach something to them. Right? And I love doing that. This is also a part of how we earn money off Smashing. So, I'm not going to say this is a horrible and boring thing, it's not. But, the level of genuine joy and curiosity that goes way out of control, like totally out of control, is in places where people normally don't go. It's in Gdansk in Poland, it's in North and Southern Serbia, it's in Bosnia. The last year was the year when I went to the second and third largest cities, and that's incredible. For me, you don't earn money with it, so you need to be able to afford going there. You don't need much money with that. Paul Boag: And that's a good position you're in. See, I'm almost a little bit the opposite. We really need to do the first inaudible 00:21:05. By the way, this is just the introduction. Marcus Lillington: I think we've covered quite a lot of the subjects, already. But, yeah. Paul Boag: Yeah, we have. I'm almost the complete opposite. I almost like doing workshops with people that don't want to be there because I get a pleasure from turning them around and then suddenly getting this light bulb moment of, oh this matters. This is important. Vitaly Freedman: Well, you're much better at that than I am. Paul Boag: Yes. Yes I am. I am bloody amazing. I'm just, to be honest, I'm a better presenter, I'm a better workshop person. Vitaly Freedman: You also have a much better, much darker wallpaper in the back, which reminds me of really bad David Lynch movies. That's okay. Paul Boag: Yeah, yeah. Absolutely. Right. Do you know what? Let's pause a moment and do a sponsor on that, just to give people time to let that sink in with them about how much better I am. We'll do a sponsor and then we'll circle back to what we're actually supposed to be talking about. Right. Our sponsor for this season is, or the first sponsor I want to talk about, is the Digital Project Manager, which is a course that you could do. In all of this season, there will be a reoccurring topic, which is that we're all trying to wear a lot of different hats and we're all working with lots of different people. And Vitaly has basically just said exactly the same thing as well. I'm sure everybody will do every week. The result of that is you need very good management skills. We need to be organized and in control of our work. That's why I'm featuring the Digital Project Manager on this podcast season, because I feel it's a really good fit. It's a website, it's a podcast, it's an online community. It's an online school, basically, that's got tons of resources for project managers. Basically, anyone that leads teams or runs projects in the digital world. It launched last year with a course called mastering digital project management. They've got some great feedback, in fact, one student from a recent session commented that it was pioneering. They're very enthusiastic, it's very high-praise. Everybody loves it. Goes down very well. It's a complete online course app over seven weeks with a full curriculum. And it covers everything from board topics like project methodology and leadership qualities to techniques for doing day-to-day tasks, estimating projects, handling budgets, writing briefs, dealing with unexpected challenges from stakeholders… everything that you could possibly expect, really. The next one, cause this is a hand-crafted course they take you through step by step, it's not just some video learning course. So the next one kicks off on the 4TH of February. This show is going out on the 31ST of January, so do it now. Because, otherwise you're gonna have to wait for the next course which would be a pain in the neck. You can get on it if you're really quick, and you can do that by going to thedigitalprojectmanager.com/Boagworld. Paul Boag: We've talked about how you came to do what you do today. So you've got a mixture of different stuff you do, which parts of that kind of pay the bills? And which do you do for fun? You've talked about you kind of do some training that is really just for fun. Although, I'm guessing that encourages people to engage with Smashing magazine which has got to be good. But is it mainly… what's paying your salary? Why aren't you living on the street with all of this kind of wonderful, caring, supported and free training your doing? Vitaly Freedman: Oh, probably because of the wonderful team that we have. No, not only that. I definitely would have a big issue without our wonderful team, that's for sure. But I think that what's covering the bills in the end is of course, still, all of the things we're doing on the side. Which is, of course, commercial I feel like. Obviously we would have conferences, so conference in business is very important to us. So we have, at this point, four conferences a year in different locations in the world and we spent a lot of time thinking about the really good conference experience. Designing it for everybody involved, speakers, sponsors, and inaudible 00:25:39. Not necessarily in that order. Because everybody's equally important. Vitaly Freedman: There's a lot of thought that went in to really crafting that experience. And, also, the pricing, and the branding, and everything around that. That's probably the most important thing that I'm involved with. But we also have, of course, other things on the side, which is the membership. The Smashing membership, which really helps us to pay it and cover the bills and the cost. Then, of course, we have the books. Usually I'm the one who's… well, most of the time. I would say usually… I'm the one who is actually working with authors on books. Unless they come to us and already have a draft, which happens sometimes as well. And initiate these projects and make them in the end, with the help of Marcus, who is taking care of the book layout and things like that. It makes it all reality. Vitaly Freedman: So books are very important as well. We also have jobs and sponsored articles and things like that on the magazine, but the magazine is taken care of by Rachel and Iris, who happens to be in the chat as well. Right? My role in many ways is the conference that brings money to Smashing. It's everything related to conferences, but also consultancing. Whenever we have a budget anywhere in the retail industry or so, the money does go to Smashing. Vitaly Freedman: That's on the money side. There are also many things like conversations with potential partners, and sponsors, and speakers, and workshop coaches, and things like that. And this whole section's also kinda taken care of by me. I mean, the sponsors are taken care of by Mariana, but there are many, many things around that. We have to move this machine like it's a big company sometimes. You need to pull plugs here and there, things like that. On the fun side, I guess the best part that I like doing most is really working with students. That's something I really, really enjoy doing. But, also, going to again to places that nobody usually goes. Normally people say, "why are you doing that, you're just kind of sprinkling all your energy all over the place". That's probably true, but I also get a lot of energy from that. Vitaly Freedman: And also, I really like researching. So, hopefully, this is also fun for me to be honest. Looking into how would you make a beautiful CUP configurator interface? BOOM. Let's go. And then I go and dive in. This is a part of my workshop that it kinda going for many years now, and I keep up to date all the time. Every Friday I sit down and improve things and refine things, and add more examples and rewrite my checklist. And I like checklists. I love checklists. So this is a part of it that, in the end, I hope will eventually, hopefully this year become a book. Vitaly Freedman: That's another thing. Then there are many moving parts around that. Also, just one more thing that I think is really cool. I try to be in projects that really create experience, memorable experience, for people attending. For example, last year I set up Berlin Design Campus with France and Ukraine. There's a project in a design school in Ukraine, which was to take Ukrainian students and we're going to bring them to Berlin and we're going to have seven days where we go, every day, to two or so design agencies, companies, or anything of that kind. They're going to just show how they work, like a mini-workshop, or just here is what the process looks like. Here is our sketches, this is how we organize our tasks, this is how our people work. And it was an incredible experience for me, as well. So 20 people, and I was like straight in. And I would going to repeat again, as well. I'm trying to take what I really like and make it happen. That's the most important part for me. It feels like, at the heart of everything, you're an educator. You love sharing what you learn with other people, which is great. Vitaly Freedman: With most people, just not you. Paul Boag: You're actually quite a nice person. Marcus Lillington: The only difference is I kept on showing up again, and again. Paul Boag: Yeah exactly. Yeah, now, I'm not gonna give people any information unless they give me money. Vitaly Freedman: Yeah that doesn't surprise me. Paul Boag: And a lot of it. Vitaly Freedman: I think one thing that really defines me in many way, and helps me kind of move on and keep going, is… and it will sound a little bit nostalgic or whatever… but I remember when I was sort of starting off, there was nobody who was able to help me somehow. I was just doing some things because I also had to earn some money. Right? Vitaly Freedman: I feel like we are, in many ways, I am being… yes, of course, I worked hard and all of that… in many ways I'm privileged to do what I can do. And many people are not. Yeah, I'm joking. I am joking. Vitaly Freedman: But, I think that in many ways you are very privileged and I think that it's also my duty, in many ways, to help people who might not have the opportunity. So I was doing mentorship for a while, as well. It just takes quite a bit of time and traveling all the way is a story on it's own. Yeah. Mentorship is pretty hard work. I love the stuff that you're doing with students. I also love the fact that you're doing it in those more unusual places. I think there is so much at certain big hubs in Western Europe, and I think it's so good to see those skills propagated further out. As someone who lives in the middle of nowhere, although, admittedly in England, to see that kind of stuff happening is really worthwhile and it's really good. But, there is a kind of thing that kind of flows out of that which is that's a heck of a lot of traveling. I mean, you seem to be constantly on the move. How do you keep working while doing all that traveling, let alone the toll that the traveling must take on you? Paul Boag: Have you got some system? Vitaly Freedman: Yes, it has become very important for me. Otherwise, I would just do just a little bit every day. So, I try to be very particular about things, like for example, when I wake up, and what I do in the morning, and when I go to sleep, and the interruptions in between. Interruptions are very expensive. And so I try to avoid interruptions as much as a I can. It's become a bit difficult over the last three or four weeks, to be honest. I'm not quite sure yet why. It's been very difficult for me to really, really focus, for example to write a finished chapter. So you really need to focus. There are, of course, tools that allow you to turn off all the notifications and e-mail and things like that. But, I do need it for research as well, somehow. It's been difficult. I think the one thing that's really helped me is exercise. Vitaly Freedman: It's really gives me some sense of… first of all, you have this happy moment in your body because it is stronger, or better, endorphins and things like that. That inaudible 00:33:29, I guess. Don't ask me, I have no frame of reference here. Vitaly Freedman: So that really helps me to keep the energy level, I think, high. And then I just sit down and I do things. Usually, there will be a nice coffee next to me, so I tend to work from coffee shops. Which is why Skype calls or these type of calls are horror for me, because I have to go to a calm place where I can share my thoughts. It's a very private moment for me, Paul. Marcus Lillington: We're very privileged to be joining you in it. Vitaly Freedman: Because I have my headphones and I just work. I sit and I work, and I do things. I always write them down in the order of priorities, so essentially every evening before I go to sleep I know exactly what I'm going to do the next day. Marcus Lillington: That's a really cool idea. Sometimes I do that, but rarely. Vitaly Freedman: Yeah, and that's like seven items max. Of course, sometimes the simplest ones will not be there because I probably will take care of them faster. And also, set up reminders if there's something really important, like an important client or an important sponsor, or an important meeting or anything. I will definitely set up, automatically, even without thinking about that. I would set up the reminder for me to follow up one week later because I tend to forget otherwise. But, that's every time I have an important meeting, I know exactly I'm going to follow up one week later. Or at least I'm going to double check if I did that or not. Then I just check things off, and I don't have a fancy tool like you and Paul do. I don't have any fancy things. I just have my text saver. In that text saver I have my hyphens. You know, hype and the task, hyphen and the task. And every time when I have finished something, I just turn the hyphen in to a check mark and then I clear that by the end of the day. Paul Boag: Yeah. Don't need a fancy tool for that. Vitaly Freedman: That's all I need. Paul Boag: What about on travel days? Can you work on travel days, because I just grind to a halt on those days and they're really expensive. Vitaly Freedman: I think the last 10 years of my life was a lot of traveling. I think there are a couple of things that have broken in me, one of them is- crosstalk 00:35:52 No, I really mean it. It's very hard for me to work from the same spot with the same people over and over. It's almost impossible. Vitaly Freedman: Yeah. So I tried that, it's almost impossible. I have this laptop with me and actually, one thing happened, it's an off-topic but I do have to mention it. So this is the MacBook 2016 laptop, and it has a butterfly keyboard. So, over the time of the course of the last month or so, I had the key "A", "I", and "O" falling out. crosstalk 00:36:31 I replaced the "A", now it's fine. But now the "O" fell off and it doesn't work at all and I really can't just give away the laptop for two weeks or so, because this is how much it takes to replace a keyboard from Apple. Paul Boag: Oh. Yeah, yeah. Vitaly Freedman: It's a really inaudible 00:36:45. This is why I have a new style of keyboard. Vitaly Freedman: Yeah, so instead of having that keyboard, I'm having this one. Because I don't stay in any place for more than two weeks. This is going to be the inaudible 00:36:58 for me. Vitaly Freedman: These little things really annoy me, but I managed to find a lot of calmness somehow in places which are busy. Which is a bit weird. So, I work really well in coffee shops. I don't notice anything. I really work best in planes, if you put me on a plan from London to New York, which is six hours or five and a half, six hours. I'm probably going to finish the book. Paul Boag: Yeah, I know what you mean. Yeah. Marcus Lillington: I'm flying to Detroit on Saturday, and I'm already putting together the long list of things I'm going to do on that flight because it is the single most productive place on the planet. Long flights. Vitaly Freedman: Do not forget to charge your laptop before going on board. That happened to me a couple times, and then the charger, the plug wasn't really working. That was disappointing. But, because I have this keyboard, I usually sometimes write on my phone because the phone is better battery. So that helps still. Marcus Lillington: There's no distractions, you can drink wine while you're working. Everything is perfect. It's just great. Vitaly Freedman: Yeah, except if you have a chatty gentleman next to you. That sometimes happens. Paul Boag: Ideally, mine, I find the lack of space a little annoying. So really, you need to be doing it business class in my humble opinion. Vitaly Freedman: Really? I really hate business class. Marcus Lillington: Premium economy's fine. Vitaly Freedman: Yeah, because it's so annoying. Paul Boag: Yeah, premium economy would do. Vitaly Freedman: I flew business class once and I would never do it again. No, I do see what you mean. Do you have any other little things that you do? Tips for those people that want to spend their careers, you know, doing what you do? Vitaly Freedman: No, don't do that. Paul Boag: Which is moving around the world. Don't do that? You think it's a bad idea? Vitaly Freedman: Well, I think I would do it in a different way. If you're traveling I think it's a really good idea to stay sound for at least three to four weeks. I've been doing it like, really traveling all the time and it's just a load of stress. And it's unnecessary stress. But, I found out that I work best in remote locations where there are not many people. So, for example, one of the nicer places I know is Abisko in Northern Sweden. It's a place which is known for northern lights and there really… I think there are 84 people? 85 or so? And many wolves. And then you have one Patel station, and one tourist station where you can sleep. Vitaly Freedman: And you have the restaurant in the mountains, and that's it. There's nothing else. And beautiful nature, the Nordic nature. But then in the tourist station, they have a beautiful fireplace and a really big table. I love big tables. It's incredible to have a really big table, big wooden table with a good chair. Not the ones that they have like cheap ones, that they have in coffee shops sometimes where you have to sit like this and you have no back and things, but a really sturdy wooden chair. It's incredible. Marcus Lillington: You need to get back soon. Vitaly Freedman: Yeah, it's a really nice place. You know, people talk about inspiration being important. Too many people is also bad for work, right? I found that in places where you feel comfortable and cozy, in a way, I work best. It doesn't mean, if it's like dozens of people around or just five. I know that it sounds maybe a bit, you know, oh you need a fancy place, like a hipster place with a decent coffee and things like that to work. I think it's not that. I can work anywhere, really. But I work better if its a nice, cozy place. That's what I know. Paul Boag: That's a good choice of word, cozy. I'm the same. That's why my study that I'm sitting in now is like it is. I wanted a cozy place. A place that kind of enveloped me and I could sit with the lights dimmed, in a nice, comfy chair, and bang out whatever it is that I'm doing. Vitaly Freedman: That frightens me a little bit. Vitaly Freedman: Just because you have a really dark velvet wallpaper. Paul Boag: It's only this one wall. The rest of it isn't… yeah, it's an Indian restaurant. The rest of it isn't as bad as this one wall behind my webcam. Paul Boag: It's true that I do think a working environment matters a lot. I don't think I could do what you do and just work form coffee shop to coffee shop. I think I would struggle to do that. Vitaly Freedman: One thing I do miss, just so we can drop it, Paul. I think it's really, really important is to have a secondary display. That I miss a lot. Vitaly Freedman: That I really do miss. And actually, in San Francisco there is a place called Workshop Café and essentially when you go there you pay per hour, I believe. It's not that expensive, I think it costs one dollar an hour. I mean, it's not cheap, but for San Francisco that's cheap. Vitaly Freedman: You can attach your machine to a secondary display, which is available for you. Vitaly Freedman: I like this place a lot. That's, for me, a mecha I think. Paul Boag: It's funny isn't it? I would like to be traveling more and working, I just am not very good at it yet. It's something I'm gonna work on. We're talking about when our son goes off to University that we might, you know, travel for a year. I think if we do it we're gonna RV it. You know, we're gonna take an RV around America or Australia or somewhere like that. I will still have my own work environment. I don't know how well I could just adapt to random stuff, but you know. Its interesting. Vitaly Freedman: I see that. There is all the failure in traveling, so don't get me wrong. I'm really privileged to be traveling. So I'm trying to make sense of that, too. And you also get to meet so many people and you go to a meet-up, and you meet anybody. But sometimes I don't want to meet people. I want to be invisible. So, for that, you need to find a real little cozy place somewhere and just work there. As long as it has good, decent wifi. Paul Boag: How do you find these places? Sorry, we're now on a massive tangent. I've given up on the show. How do you find these places? Vitaly Freedman: So there are a couple of places. One site I can actually plug in, in here. I've been using it for quite a while, it's workfromco. Basically, it just shows you all the places that are verified as good for working, and it even highlights… you need to register there though. It even shows you the average internet connection speed in those coffee shops. Paul Boag: I like it. Vitaly Freedman: But then, of course, the most important thing for me that I'm looking out for is the plug outlets. That's very important. And the second part is the chairs. I really need a good chair. And at that point, if they have a wooden table, that's great. And actually, I also… I mean, I know I'm old school… but I have… where is my phone? Somewhere. I have a huge crosstalk 00:44:43 with maybe 700 or 800 places that I've been to. Vitaly Freedman: And so, in all the parts in the world from Melbourne to Tokyo to London, everywhere. If I really need to work I will pick one of these five or six places and I will go there because I know this place, and I've been working there. And I know its comfortable. I wouldn't add something to the list that I don't know or like. Vitaly Freedman: So, it doesn't matter where I go, I can find a place where I feel homey, so to say. Vitaly Freedman: Well, sometimes they're closed down. That's pretty sad. Paul Boag: Oh, how inconsiderate of them. That's just rude, isn't it? Vitaly Freedman: Especially if its a good coffee. Paul Boag: Okay. Oh, that's always the way. Always the way. That was absolutely fascinating. We didn't cover any of the questions that we normally cover, but that's fine. We kind of picked at different little bits of it. I don't think there's any point of asking you what your average day is, because I get the distinct impression there's no such thing in your world, is there really? Vitaly Freedman: Well, as long as, definitely going to wake up early. That's for sure. Paul Boag: Oh, you're an early person are you? Marcus Lillington: What time do you go to bed? Vitaly Freedman: That would depend on the time zone. Marcus Lillington: Alright. Answer the question, Vitaly. Vitaly Freedman: I would say ideally around 10-11. Marcus Lillington: Yeah I'm the same. Yeah, 10 o'clock, bed. Vitaly Freedman: One thing I really like and that I can highly recommend to everybody, because this is how you really explore the city when you're traveling. You set up an… and it kind of requires you to like running… so if you set up an alarm lets say at 3 o'clock or 4 o'clock in the morning, and just go jogging at 4, 4:30 for one hour, one hour and a half. You get to see the city from entirely different view. I did that in London, and in Sydney, and in Paris and well, you see the city as it actually is. There's a wonderful feeling when you walk by… you don't even have to run, you can just walk… you run by somebody. Marcus Lillington: I was gonna say, Paul, you don't have to run. You can just walk. That's what I do when I go to America, because I mean, obviously, the times you get up really. I just go for a walk. Vitaly Freedman: The best part is it feels like a memorable, and incredible experience. I was doing that in Paris and I was just running by, and then like 5:30, 6:00 the first bakeries would open up. It's so incredible when you see the first lights being turned on and they start baking. I have a lot of respect for bakers in the first place, it's so hard-work. They have to wake up really early and they have to do everything to prepare everything for the people who are going to buy them, and then go to work later. So you get to see something you've never seen before. It's incredible. Vitaly Freedman: She's a very smart person. Paul Boag: Getting up at 4:30? Vitaly Freedman: Unlike some of us. Paul Boag: She is a very smart person. Yeah, exactly. But, getting up at 4:30 in the morning? I could not go to bed until 4:30 in the morning, and go running just before bedtime but that's a whole different thing. Vitaly Freedman: Well, if you keep talking to me you might change your mind at some point. Paul Boag: On that note, we shall end the interview to prevent that from happening. So, thank you so much for joining us Vitaly. Marcus Lillington: Yes, thank you. Vitaly Freedman: Of course, my pleasure. Paul Boag: That's really interesting, especially, I think you've managed to create a really interesting role for yourself. You've done the hard work for years and year of building up this successful business and that's enabled you this kind of, almost nomadic lifestyle. Hasn't it? But an opportunity to really give back as well. So, it's an exciting place you're in, mate. 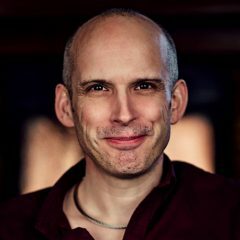 Paul Boag: I'm quite envious if I'm honest. Vitaly Freedman: I'm really looking forward to what the future will bring us. I'm a very optimistic person, so I always look at the bright side of things. Paul Boag: So, do you have a… sorry, we were going to stop the interview, I did so well, but then that did just make me hear… what do thinks gonna happen for you next? Marcus Lillington: That's an important question. Paul Boag: Can you imagine yourself… yeah it is. Can you imagine yourself doing this in another 20 years? Vitaly Freedman: I think, yeah. Actually, I would. Vitaly Freedman: I think I do want this. I always need a new challenge. That's always been a very important thing for me. This is why I got into the work with the inaudible 00:49:46 side of things because I was doing it for way too long. Vitaly Freedman: So, I really want to see how things that I've never done before can be done. So that involves everything from, you know… we've been doing the conference which is spanning over two days, and maybe there is a way of turning it… you know… doing something bigger. Not because we have to, but just because I would love to see the concept of how would you design a product of that little bit larger scale? In the same way, if you look at education, there are many things that are not done right. One of some of the things that we're doing are also explorations of what you can do in that space. So, I'm pretty sure I'm going to keep experimenting and playing with technologies and projects and any kind of products. But, probably more on the side of experience design. It's everything at this point, like interface design and service design. Whatever you want to call it. One thing that's become very important for me over the last years is this notion that we have a lot of disrespectful interfaces that inaudible 00:50:52, and so it take care of all the precious, beautiful pixels. But in the end they're not really good pixels in many ways. I want to design more. I want to encourage people, at least, to design better and more honest people. That's the end of my goal for the next years to come. Paul Boag: That's really cool. I think you're in a position where you've created a flexible enough environment to enable you to explore those new areas and then pass on what you've learned to the next generation. I think that is absolutely superb and I hate you for achieving that at such a young age. It's disgraceful. Vitaly Freedman: I do love you after all. Paul Boag: I know. Okay, everybody does. I get that compliment with most people. Okay. But before we do Marcus' joke, lets do our second sponsor. Our second sponsor for the show is Optimal Workshop that I've been talking about over the last couple of weeks. They are… you've already heard of them, to be honest… they're a brilliant set of tools that you can use if you are looking to do any kind of testing of the work that you do. So, they've got a whole range of different tools. But just to give you an example of how I've been recently using them, because I've been using Optimal Workshop for a long time, on a recent project I wanted to create an information architecture. And I wanted to do some wire framing. So where did I start? Well I started actually with using their online survey tool in order to ask users a whole load of different questions that I wanted to know. So, I asked them why they weren't buying. You know, very basic question but it gave me insights in to what the problems were around price, around the offering, et cetera. I also did a bit of a top task analysis where I gathered what it was that they were trying to achieve on the site. What questions that they had, what tasks they wanted to complete, that sort of thing. Once I got all of that together, that enabled me to start thinking about the kind of content that the website would want. So I took a lot of those questions and those tasks, identified the more important once, and reduced it down to a set of kind of subjects that the website needed to cover. Then, I needed to create an information architecture. So to do that, I did a card-sorting exercise which also I also did via Optimal Workshop. First of all, I did what's called an open card-sorting exercise, where people could organize those cards any way that they wanted. Then following that, I kind of validated that by doing a closed card-sorting exercise to see whether the raft information architecture I created from the first test actually fitted peoples mental models. I also did something called a tree-testing via Optimal Workshop as well, which enable me to create the information architecture for the website and then ask users to find particular content within that. Could they navigate the tree in order to find the content? Did it make sense to them? And then finally when I got to the wire-framing stage, particularly when I was wire-framing the homepage, I wanted to know whether the kind of sign posting I added to that actually works. Whether people would work out what to click on in order to find different types of content. So I did something called a first-click test with Optimal Workshop, where we looked at where people would click in order to complete certain tasks. So as you can see, it's got this wealth of different tools that all kind of come together and create this really great experience. They also help with recruitment, which is a huge thing. They've got this huge pool of people that they can recruit from, which makes life so much easier. If you want to give them a go, you can do so by going to boag.world/optimal. Marcus, have you got a joke to wrap us up with? Marcus Lillington: I have. I love the fact that my thought for the day, that I've only had to do one for this entire series. Paul Boag: I know, it's great. It's backup. Marcus Lillington: You can blame this one on Bob Salmon from the Slack Channel. Paul Boag: Oh yeah, Bob from the Slack Channel. Marcus Lillington: Yeah, you need to blame him for this one. Paul Boag: Okay, is it that bad? Marcus Lillington: Well, I quite like it, but that doesn't mean a thing, does it? Paul Boag: It comes to something when Marcus Lillingtonillington is washing his hands of a joke. That's how bad it must be. You'll have heard a version of this before, but it may be inaudible 00:55:40. I just swallowed a lot of Scrabble tiles, my next trip to the toilet could spell disaster. Paul Boag: No, I actually quite like that one. That's great. Paul Boag: So, there we go. That wraps it up for this weeks show. Next week, we are actually being joined by an author of… a published Smashing author, in the form of Adam Silver, who's coming to join us. He's the author of Form Design Patents, published by Smashing magazine. He's gonna be joining us next week to talk about the life of an Interface Designer. We'll wanna hear in a bit about what he does. 'Til then, thanks for listening. Thanks for listening, bye. Vitaly Freedman: Thanks for having me.